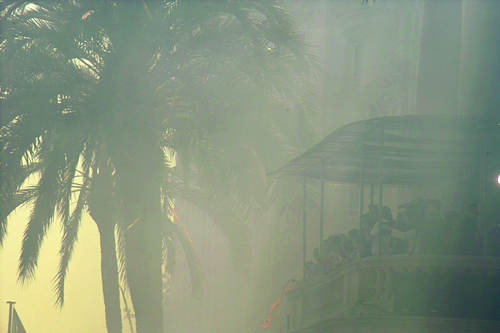 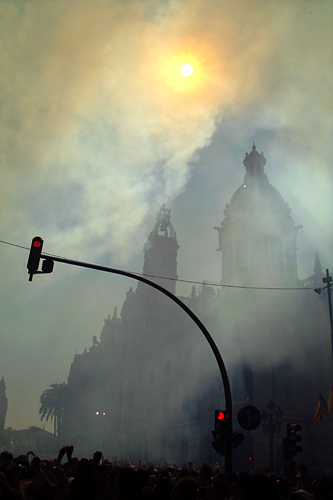 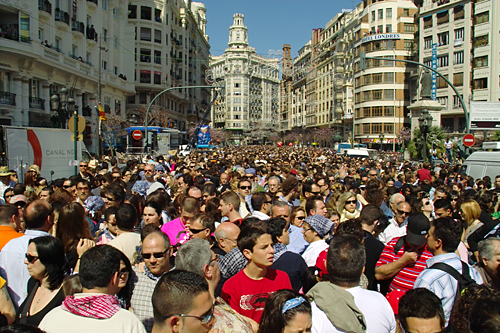 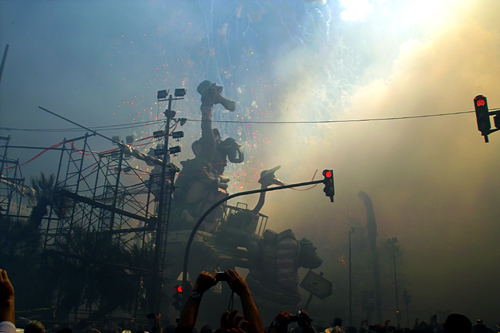 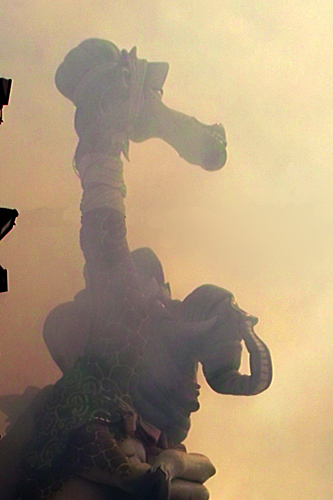 The final mascletà of Fallas 2009 was shot off by they company of Ricardo Caballer, and what can we say? 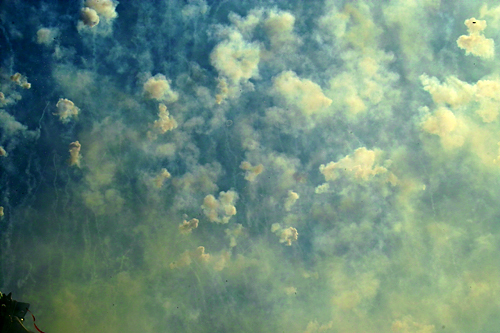 If you were anywhere within a 60-mile radius, you already know that it didn’t disappoint. 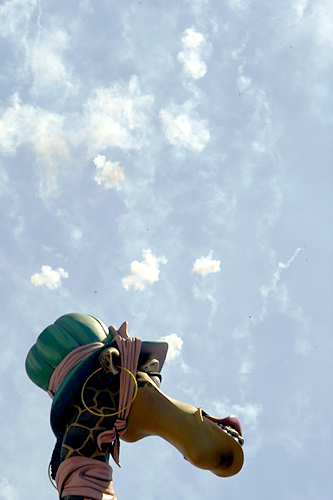 But you did have to be present to see the colorful streamers explode over the crowd — a trick which was new to us. 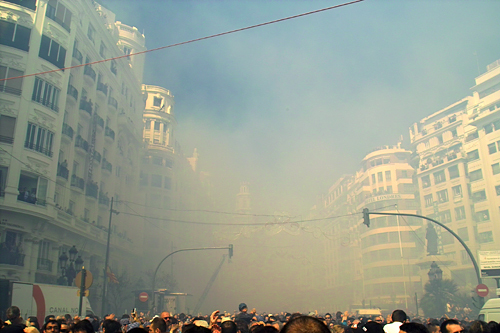 In a day filled with noise and explosions, this was an incredible experience. 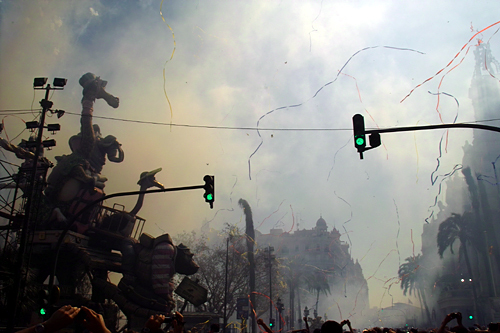 If you only went to one mascletà, I hope it was this one.